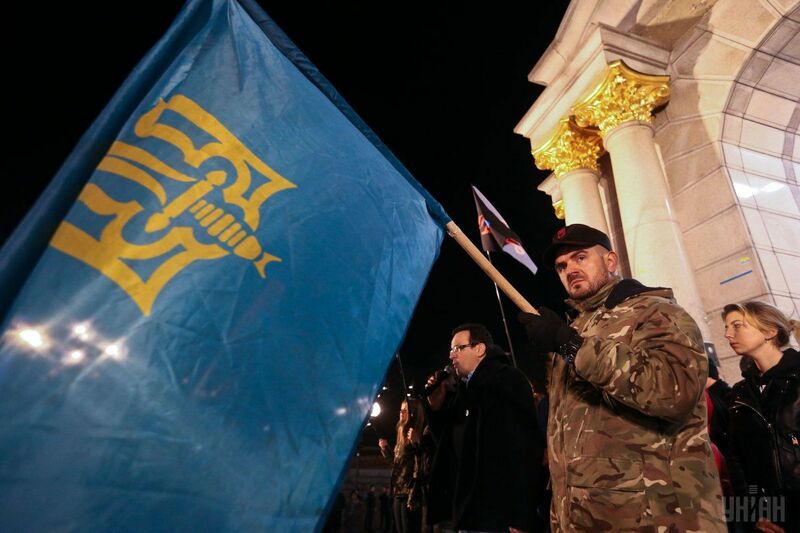 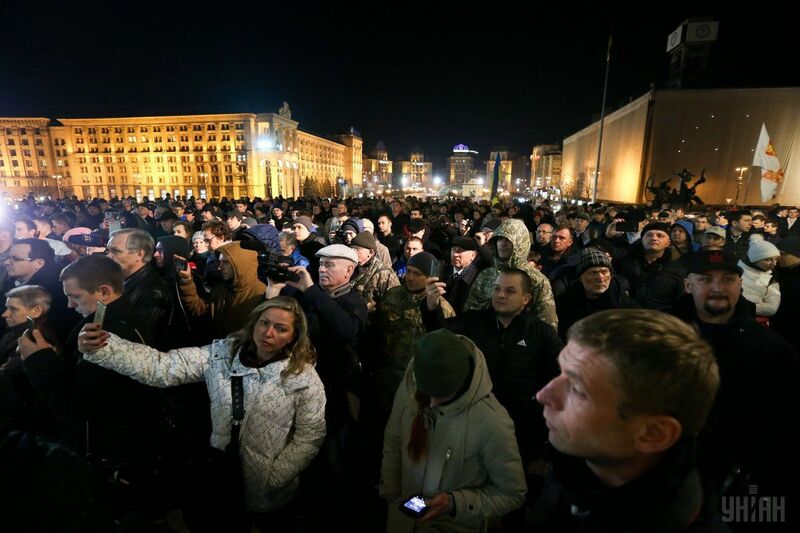 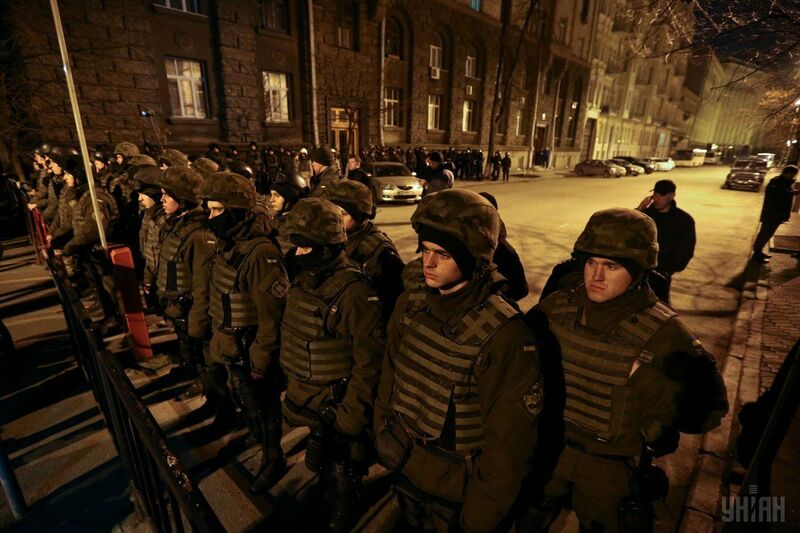 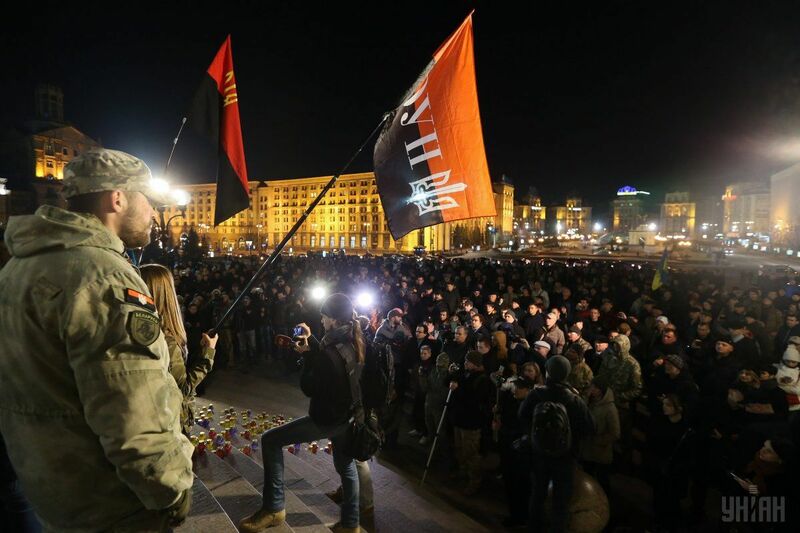 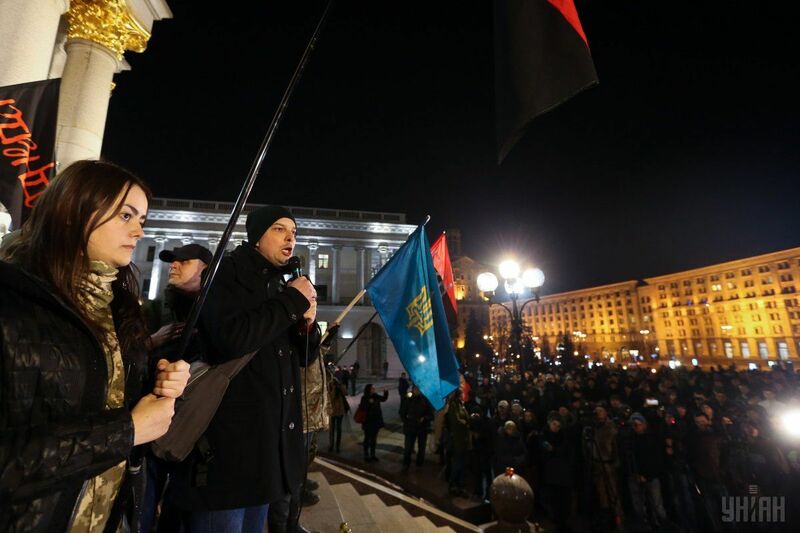 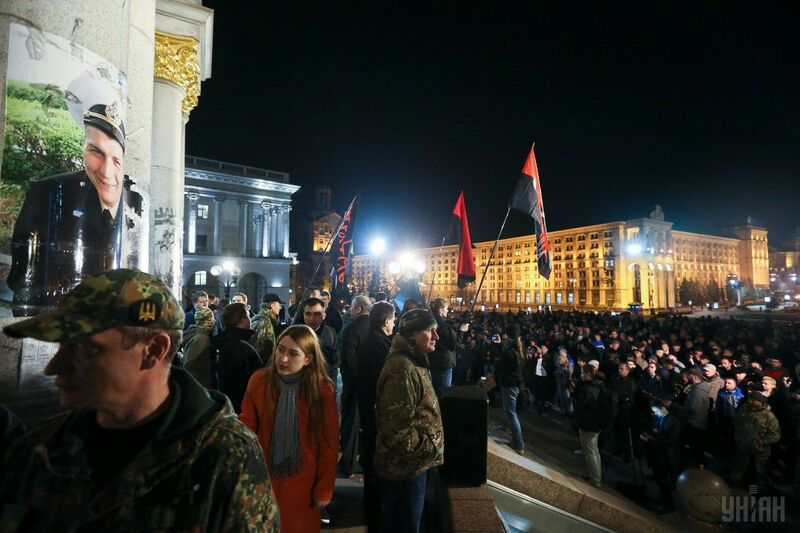 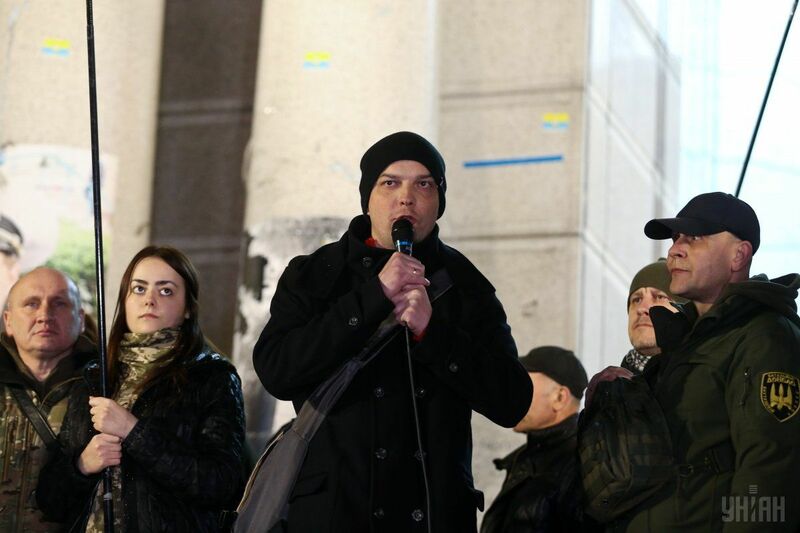 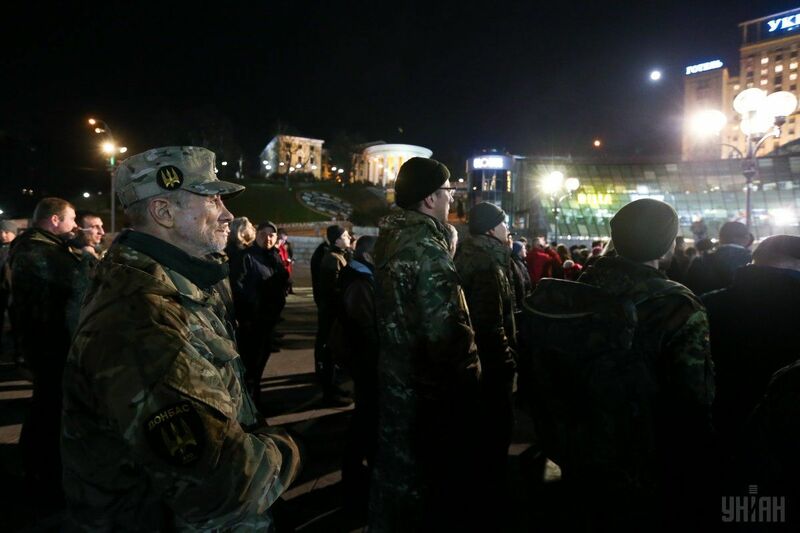 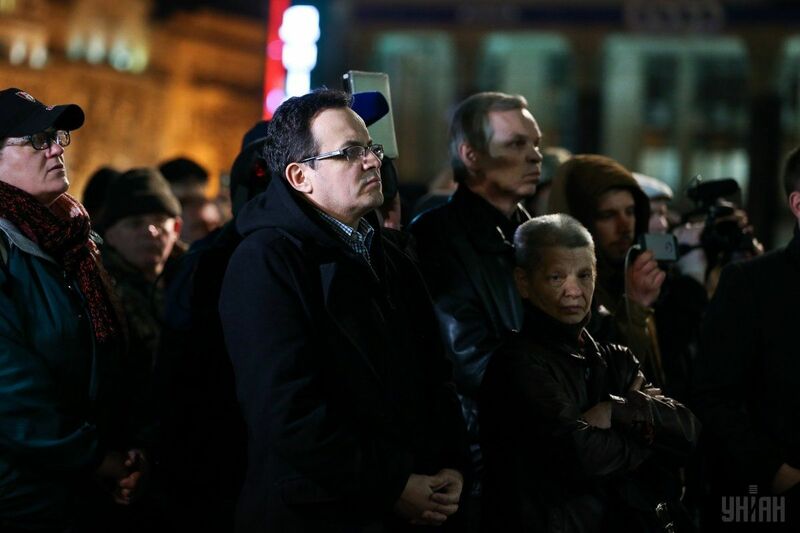 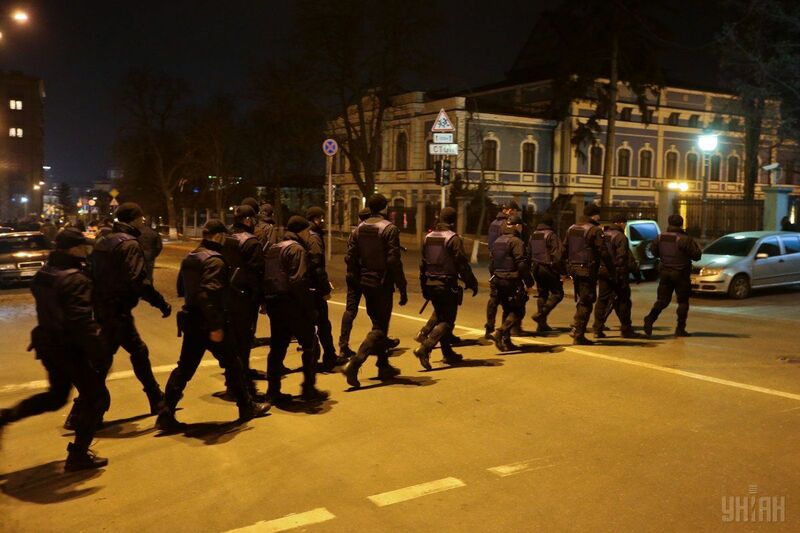 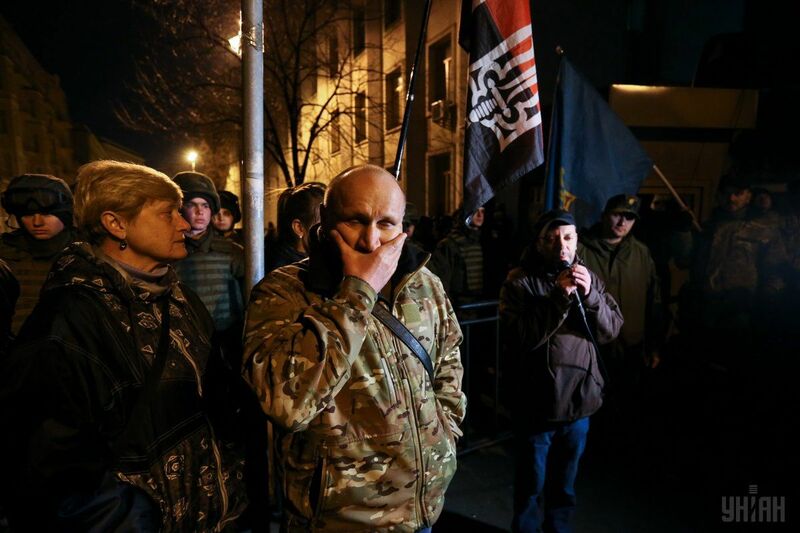 Participants in a night rally on Kyiv's Maidan Nezalezhnosti, or Independence Square, in the early hours of Tuesday, March 14, demanded the release of detained protesters who oppose trade with occupied areas in Donbas. 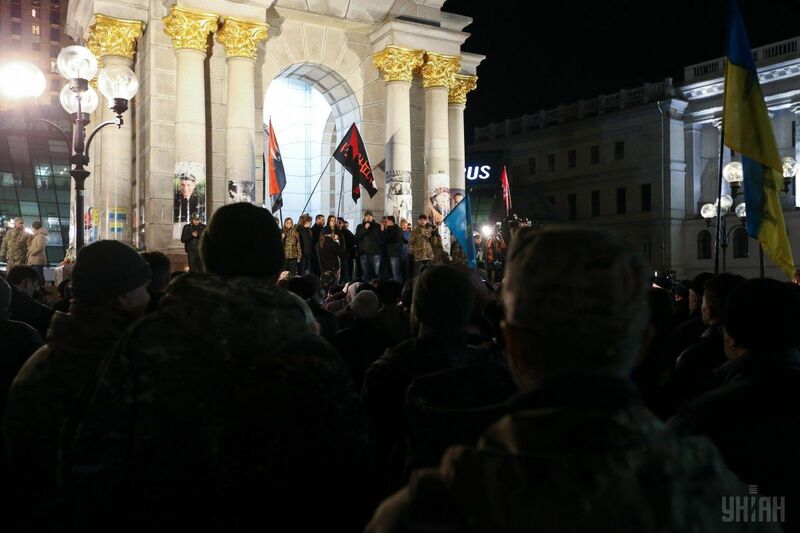 Several hundred supporters of the trade blockade held a rally in the center of Kyiv. 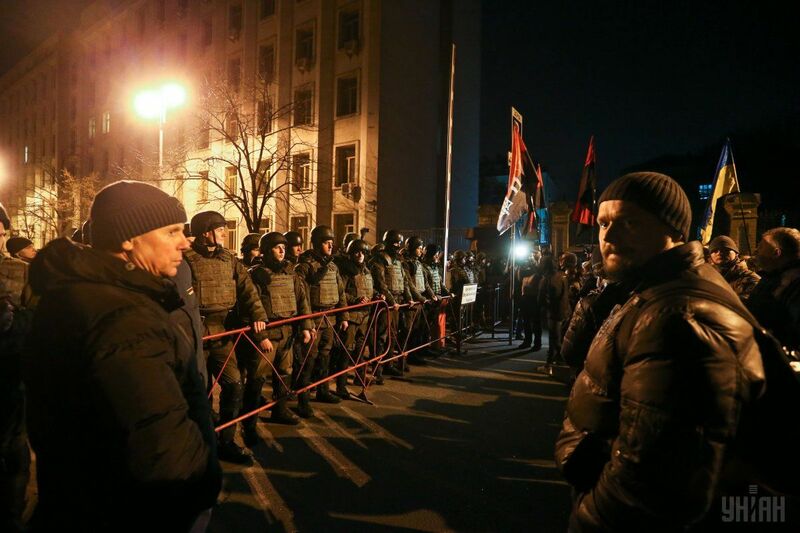 Read alsoNearly 100 activists seize govt building in Lutsk, demand release of Donbas blockade supportersThey criticized Ukrainian law-enforcement agencies for the detention of 43 participants in the blockade in the Anti-Terrorist Operation zone in Donetsk region and demanded the release of the detainees. 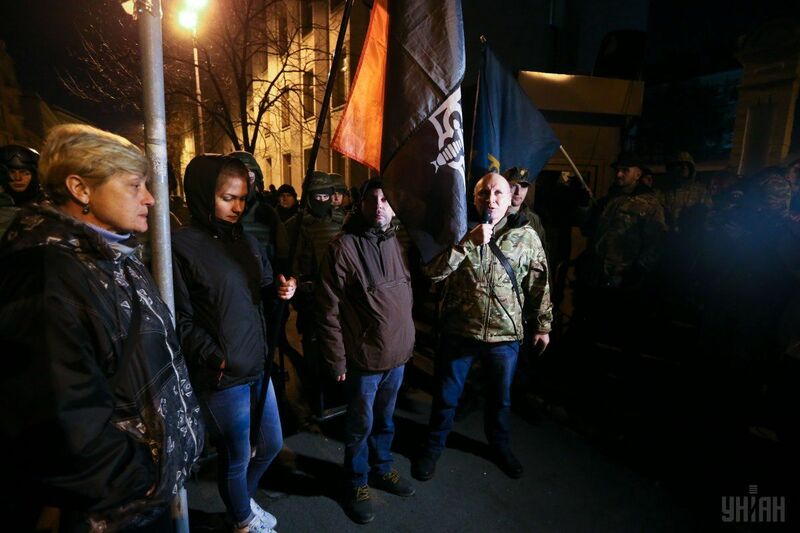 They also insisted on a halt to trade with Russia-occupied Donbas.